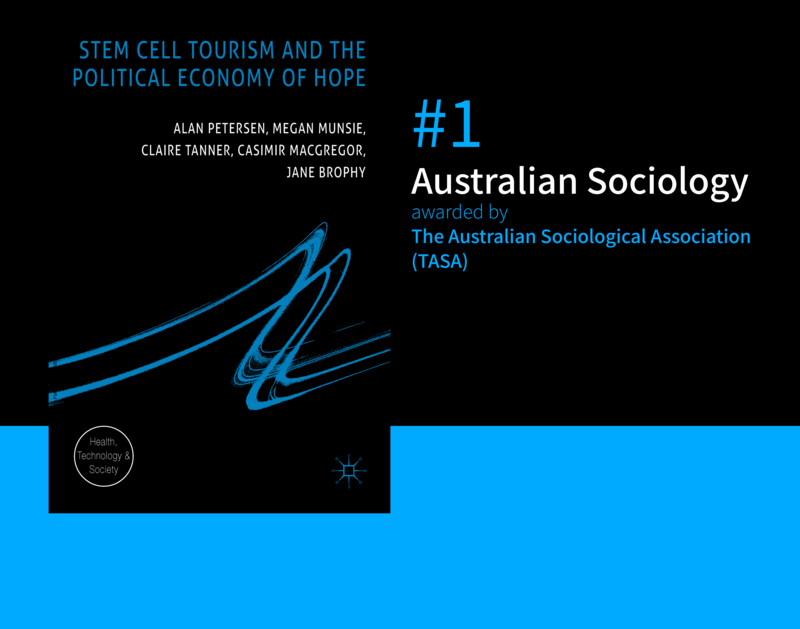 Stem Cell Tourism and the Political Economy of Hope was awarded the 2018 Stephen Crook Memorial Prize for best authored book in Australian Sociology by The Australian Sociological Association (TASA). Stem Cell Tourism and the Political Economy of Hope was authored by Associate Professor Megan Munsie, Dr Claire Tanner (Anatomy & Science, Centre for Stem Cell Systems), Dr Jane Brophy, Professor Alan Petersen and Dr Casimir MacGregor. The book is the culmination of an eight year collaboration with Professor Alan Petersen (Monash Arts), which has been supported by an ARC Discovery grant and additional seed funding from the Commonwealth Department of Industry. Stem Cell Tourism and the Political Economy of Hope was published in 2016 by Palgrave Macmillan as part of a Health, Technology and Society series, and provides a unique and innovative perspective on the controversial phenomenon of 'stem cell tourism' where a growing number of patients are embarking on stem cell treatments that are clinically unproven and yet available in clinics and hospitals around the world. The book describes this complex and rapidly changing phenomenon, including an analysis of the experiences of those who have undertaken or have contemplated undertaking a stem cell treatment, as well as examination of the views of those who undertake research or advise on or provide stem cell treatments. Developing the concept of 'the political economy of hope', and referencing case studies of the stem cell treatment market in China, Germany and Australia, the authors call for a reframing of 'stem cell tourism' to understand why patients and families pursue these treatments and whether response by government authorities and others are appropriate and proportionate to the alleged risks. "It is lovely to have our unique interdisciplinary work recognised," said Associate Professor Megan Munsie. Read the award-winning title here. The Prize was established to honour the memory of Professor Stephen Crook in recognition of his significant contribution to Australian Sociology. 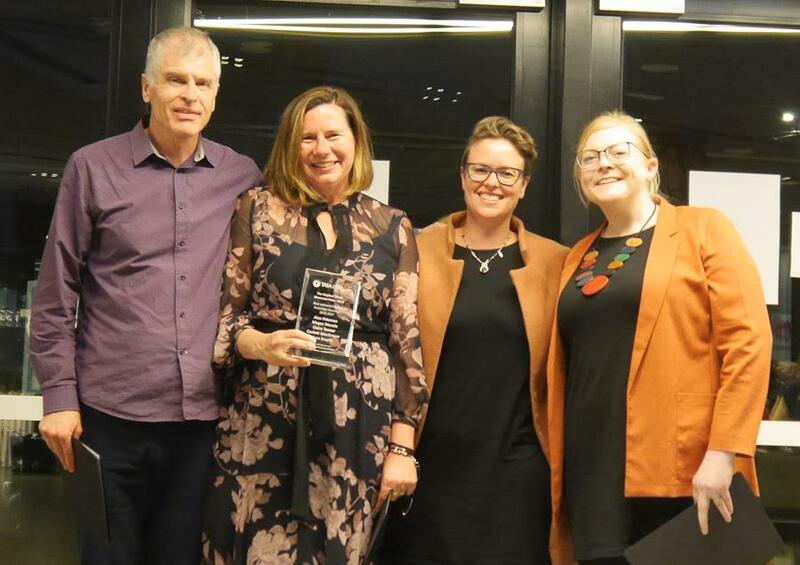 The Prize is awarded biennially, at the TASA Conference, to the best authored monograph within the discipline of Sociology published in the previous two years.